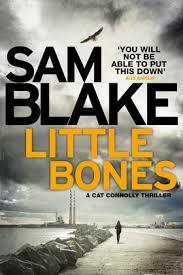 BleachHouseLibrary.ie: Book Review - "Little Bones" by Sam Blake. Detective Garda Cathy Connolly makes a gruesome discovery while examining the scene of a burglary. Sewn into the lining of a vintage wedding dress are tiny little bones, which appear to be human. Here begins a investigation that reaches far into the past, yet still has a rippling effect in the present. While Cathy searches for answers, she keeps her own secrets from those closest to her. But how long can she keep silent? Cat Connolly is a feisty young female detective who is not afraid to take chances. At her physical peak, she spends most of her free time at the gym and throws herself into her work with gusto. The case of the little bones has her perplexed and the owner of the wedding dress seems oblivious to their existence. Working through rumours and dealing with unwilling witnesses makes the case all the more cumbersome. Each chapter brings more detail, teasers and potential leads while the parallel story of Cat's personal life lends an extra dimension to the novel. The location is mostly set around South County Dublin, with many familiar landmarks getting a mention. 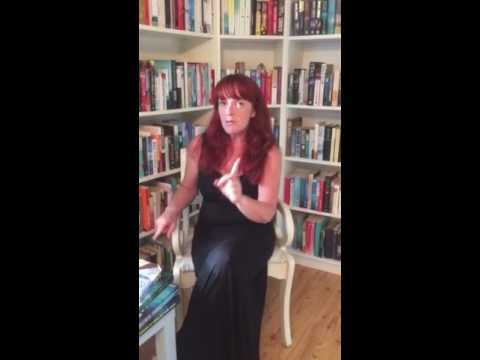 Not solely based in Ireland, extra characters bring extra locations and the links between Ireland, England and further afield become apparent. There are a few separate storylines and each one is as strong as the next.